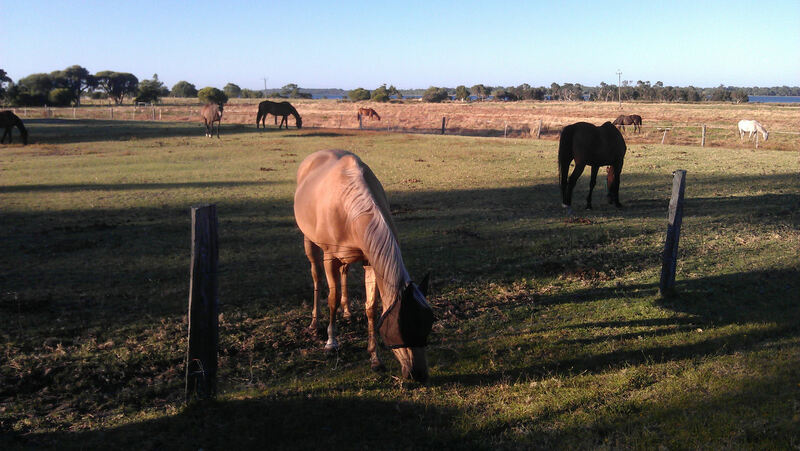 Some of the horses I see on my morning walk. 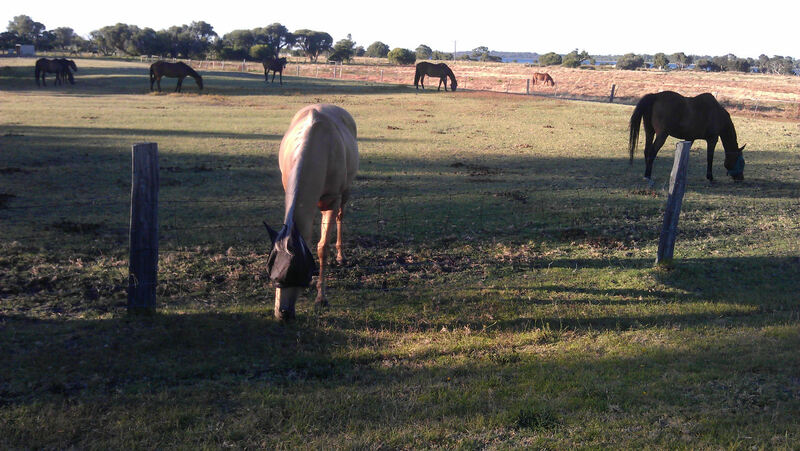 This paddock has about 13. The ‘headbands’ are used to keep the flies out of their eyes and thus stop infection. The eye parts are shadecloth-type mesh.